The global biopreservation market accounted for a value of USD 2,406 million in 2017 and is estimated to grow at a CAGR of about 8.3%, during the forecast period. Biopreservation is defined as the extension of shelf life and improved safety of foods, by using the natural or controlled microbiota or antimicrobial compounds. It is an innocuous and ecological method to deal with the problem of food preservation and has gained increasing attention in the recent years. Healthcare spending continues to rise faster than the economic growth in most countries, maintaining a trend that has been observed over decades. The presence of equitable, responsive, and efficient health systems across North America, Europe, UK, and Asia-Pacific, has also contributed to the maximum share of GDP that is being utilized in healthcare expenditure. In 2009, the United States had the highest health expenditure per capita (approximately USD 7,960), and a similar trend was also recorded in 2015. Countries like Norway and Switzerland were also the next big spenders on health, per capita. And with growing technological advancements in biopreservation and healthcare equipment, along with the cost-effectiveness of these instruments, a major share of healthcare spending is going to be in this domain. Factors like increasing life-expectancy and increasing patients with communicable and non-communicable diseases are major factors that have contributed to the growth of the market. And the other factors, such as increasing advancements in R&D, adoption of in-house sample storage in hospitals and labs, and investments in biobanks and personalized medicine are increasing the growth of the biopreservation market. Biopreservation facilities require highly sophisticated equipment and instruments to maintain samples at constant temperatures. These sophisticated equipment and instruments are expensive, and their high cost is a major restraint for the growth of the global biopreservation market. Systems from top companies start around USD 1 million and can hold between 250,000 and 10 million samples. Researchers may use laboratory information-management systems to search for appropriate samples for a particular study, such as those from donors of a particular age or weight, and then transmit their request to be retrieved. Few companies also sell automated freezers and data-management software for storing and tracking samples. The infrastructure required for a start up in its first year would probably cost between USD 3 million and 5 million, not including information systems. Operating costs for ten years could be more than USD 10 million. Obtaining funds for maintenance and ongoing expenses is also a major challenge. All these issues are hindering the market. 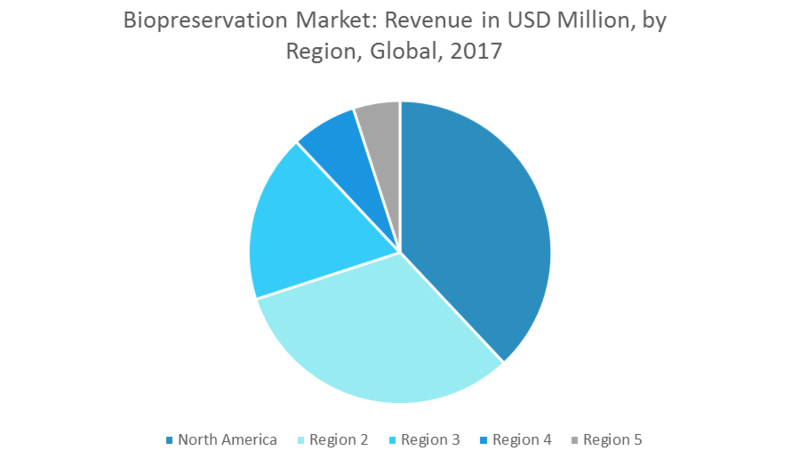 The other factors, such as the possibility of tissue injury during preservation and thawing, are hindering the market growth. North America is dominating the biopreservation market due to novel drug developments and therapies in the biomedical research, in this region, and along it, the population that requires diagnosis and treatment of acute and chronic diseases is increasing. Asia-Pacific is expected to record a substantial growth over the forecast period. February 2018: BioLife Solutions executed OEM Agreement with MilliporeSigma. July 2017: Cesca Therapeutics acquired the cell processing systems of SynGen. Major Players: BioLife Solutions Inc., Cesca Therapeutics Inc., Lifeline Scientific Inc., Sigma-Aldrich Corporation, Thermo Fisher Scientific Inc., BioCision LLC, Custom Biogenic Systems Inc., Core Dynamics Ltd, Princeton CryoTech Inc., and VWR International. 9.5 Thermo Fisher Scientific Inc.
9.7 Custom Biogenic Systems Inc.